The Stevens Point Smart Growth Plan was adopted in 2005, amended in 2006 and is currently still in effect. Birds continue to be monitored at Kozcizkowski Park and the Erickson Natural Area, but no significant change has occurred since our first BCW application. For the 2018 season, the Bird Club of McKinley Elementary School fledged 30 individual birds: 5 House Wrens and 25 Tree Swallows. A total of 15 Club students monitored 14 nest boxes in these park areas. Some monitored from mid-April to mid-July, well beyond their school year (Document 1). For the past 17 years, the Aldo Leopold Audubon Society (ALAS) has developed and monitored an Eastern Bluebird trail (ABT = Audubon Bluebird Trail --see Document 2A). In that time the trail has grown from 89 to 1,315 boxes and from 1 to 72 monitors. For the last 8 years it has been the largest and most productive trail in Wisconsin and for the last 6 years is thought to be he largest and most productive in the U.S. For the 2018 nesting season, this trail produced 6,899 songbirds, 4,035 of which were bluebirds. In the 17 years of its activity, the ABT has produced about 89,000 songbirds,66,600 of them bluebirds. Monitors for the ABT peform a series of tasks that are not found in any other known bluebird trail in the U.S. (see Document 2b). They are expected to 1) weekly monitor and report their findings for all nest boxes on their routes 2) pay for their own transportation and 3) for the season, complete an indiviudual data sheet for each box and turn them in as a "route package". These monitoring expectations maximize the morale, motivation and education for the individual monitors. 15 acres of prime habitat lies in the Stevens Point area. This is park land known as Kozcizkowski Park and Erickson Natural Area. Home to dozens of migrating species, it is a confirmed nesting site for 33 bird species (including the Osprey). It is Stevens Point land and is used by birders in spring, summer and fall (see McKinley Elementary School below). ALAS was instrumental in preserving from development a 5.5-acre site adjacent to the 14-acre Kozcizkowski Park, owned by the Cfity of Stevens Point. In less than one year, Audubon members and friends raised $308,000 for purchase of what is now the Godfrey & Maybelle Erickson Natural Area. Audubon members raised nearly $32,000, the Erickson's contributed $60,000, the City of Stevens Point contributed $75,710, and the Wisconsin DNR contributed $140,500 through its Urban Space Program (Stewardship funds). Kozcizkowski Park and the Erickson Natural area continue to be used for nest box monitoring by McKinley Elementary School (30 songbirds produced from 14 boxes in the 2018 season), visitation by local citizens and tourists and special Audubon field trips (Stevens Point CBC and spring bird counts). This area continues to be used by large numbers of migrating birds and as a nesting site for 33 species of birds (including a pair of Ospreys and the newest member of the species list, the Long-eared Owl). In 2011, they added two Leopold benches to the site and were involved in removal of black locust and tartarian honeysuckle. Also, in the late winter of 2014, a pier was added to this property. It is used for McKinley Elementary School students to fish, bird watch and take water samples. The Whiting Dam that produces the McDill Pond had major leakage problems. Repair of the McDill Pond Dam was completed in October, 2012, and McDlill Pond was filled in April, 2013. This area is a very important stop-over site for Neotropical migrants and the 2013 year of renewal brought it back to its original luster as an avian stop-over site in the spring of 2014. Several "fall-outs" were experienced during this time, an indication that this habitat has recovered after a drop in the water level. ALAS has enhanced this property with an educational kiosk, two boardwalks, an entryway sign, and the removal of invasive black locust and exotic tartarian honeysuckle over a period of 6 years. More than 100 people helped with this effort. Over the past several yars, ALAS has held the following activities at the Kozcizkowski Park/Erickson Natural Area site: 1) Bird walks, including two International Migratory Bird Day celebrations 2) 10 years of nest box inspections by McKinley Center Elementary School; 3) Cavity Nesting Songbird Workshops for central Wisconsin in 2009 and for the Natural Resources Foundation in 2010. 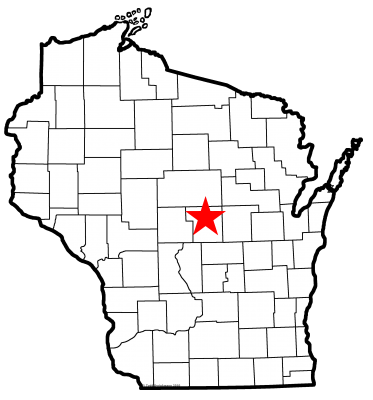 G. Document that there is a segment of the Great Wisconsin Birding and Nature Trail or a designated Important Bird Area within or adjacent to your community. Portage Count is part of the Central Sands Prairie Region of the Great Wisconsin Birding and Nature Trail. Stevens Point has two locations on this trail (No. 53, Iverson Park, and No. 55, Schmeeckle Reserve). H. Show that the local Chamber of Commerce or a similar group (e.g., an Audubon chapter, Wild Ones, etc.) takes an active role in the planning process for protecting and enlarging favorable bird habitat. In December of 2012, the Stevens Point Area Convention and Visitor's Bureau put the BCW videotape prepared by Northland Adventures, on their website. This video is also on the aldoleopoldaudubon.org website. This video is very descriptive of the BCW program. The Green Circle Trail (Document 3) encompasses three municipalities (Stevens Point, Whiting and Plover). Started originally with 22 miles of trail, it has since added 23 miles of spurs to make it a 45 mile trail. This trail passes through many habitats that are favorable to birds. Bird watching is common on the trail and is especially appealing along the Wisconsin River where ducks, geese and swans are common during migration. The trail itself is maintained, but fragile habitat is protected. Kiosks are being placed at the intersections of trail segments for the Green Circle. Audubon has helped pay for two of these kiosks ($9,000). In 2018, no new kiosks were completed, but one is planned for 2019. Please note that each of these segments has its own descriptive panel that features a bird species. P. Demonstrate the implementation of a program to preserve Chimney Swift nesting and roosting sites (preferred) and/or to construct Chimney Swift towers. The Aldo Leopold Audubon Society has spent $4,000 on two Chimney Swift Towers in the Stevens Point Sculpture Park (2012). To date, no swifts have nested in these towers. We have found a swift roosting site and plan a "Swift Night Out" in the summer of 2019. R. Show how your community aids a local youth group (e.g., Boy Scouts of America, Girl Scouts of USA, 4-H Club, etc.) or conservation group in bird conservation projects (e.g., bluebird trail, habitat restoration, Wood Duck nest boxes, etc.). The Aldo Leopold Audubon Society has started nest box trails at seven different elementary schools in Wisconsin. Two are in Stevens Poaint and 1 is in Plover and will be used in our BCW applications (Document 4). The others are in Grant Elementary School, SW Portage Co., Wisconsin Rapids, Port Edwards & Nekoosa. In mid-April of each breeding season, students involved in this program start collecting data from their nest boxes around their respective schools. Last season that involved 160 students. Most trails have at least 3 species of birds nesting, sometime 4 (bluebird, Tree Swallow, chickadee and wren). Students learn to ID nests, eggs and chicks. But the most important tthiing they learn is how to collet accurate data on specially prepared data sheets..
Local papers regularly give us publicity for our efforts. Last season, Roosevelt E.S. fledged 26 songbirds, McKinley E.S.fledged 30 songbirds and Madison E.S. fledged 19 songbirds. V. OTHER: Demonstrate in a narrative. Over a 9-year period (2001-2009), ALAS constructed 3,500 nest boxes (Document 5). These were constructed at the Wood Laboratory on the UW-SP campus and transported to a storage area. About 1,300 of these boxes were used by the ABT, but 2,200 were distributed to other bluebird trails in the state. Payment for most of these additional boxes was made by the Bluebird Restoration Association of WI, but ALAS helped with distribution of boxes statewide and installation of about 100 bluebird trails. Although these nest boxes were made in Steens Point, we had a major influence on bluebird conservation, statewide (over a 5-year period.). Stevens Point Continues to be recognized as a Tree City USA by the Arbor Day Foundation following its initial award in 1976 (43 years when accepted this year--see Document 6a). The City has also received Tree City's Growth Award for 16 years. An Arbor Day celebration was held in Stevens Point in May, 2018. Audubon applied for a $750 grant from Audubon National for replacing trees damaged by the summer storm of 2017. We received it and have donated it to the Forestry Dept. of Stevens Point. We also added another $649 from our Treasury for a total of $1,399. Audubon members have helped plant many trees to help with this reforestation project. Todd Ernster, City Forester, has summarized the cooperative efforts of the City and ALAS in a recent article in the Almanac, newsletter of ALAS (Pg. 8, Document 6b). Todd Ernster, our Stevens Point Forester, has not only completed the Wisconsin DNR's WI Community Tree Management Institute course, he taught it for the 4th time in spring of 2018. F. OTHER: Demonstrate in a narrative. The City of Stevens Point has received a $2,000 grant from American Transmission Company for planting a Prairie Pollinator Garden. The City and Audubon have inspected the property and are preparing it for planting. We will remove trees and stumps in the right-of-way, disc up and put in fresh dirt on the site and will remove the red granite path and put it south of the site. Sewing seeds and implant of plugs will take place in the fall of 2019 and the spring of 2020. The ALAS website has a link to the American Bird Conservancy (ABC) web site and its “Cats Indoors!” program. ALAS is cooperating with four local veterinary clinics and the Portage County Humane Society to distribute the ABC brochure, “Cats, Birds and You.” Several hundred of these brochures are now in the hands of these facilities and more will be provided by ALAS as needed. Links to the Window Alert website can be found on both the Aldo Leopold Audubon Society and the Stevens Point websites. We hope to have an expert in to talk about window strikes in the fall of 2019. G. Show how your community regulates communication tower construction, siting, and lighting to mitigate their risk to migrating birds. In 1999, ALAS members approached the Portage County Planning and Zoning Department for consideration of the development of a Communication Tower Ordinance. With the strong backing of then Stevens Point Mayor, Gary Wescott, this ordinance (Wireless Telecommunication Facility Ordinance) was passed on May 18th, 1999. This ordinance was revised on January 1st, 2007, and again on June 17th, 2008. This ordinance, to the best of our knowledge, was the first ordinance in the state to address concerns about migratory birds and communication towers (7.3.1 PURPOSE: F; 7.3.7 DISTRICT REQUIREMENTS: B—Areas prohibiting telecommunications facility location: Floodplains, Wetlands, Shorelands, Conservancy-zoned districts). This ordinance is quite sensitive to and supportive of healthy bird populations. Although this became a county-wide ordinance, the original motivation for it came from residents in the City of Stevens Point. ALAS has held a Christmas Bird Count for 59 years. The center of the count circle is at the Old Main Building on the UW-Stevens Point campus. A total of 25-40 persons participate in this community-wide conservation project each year. The species record for a single count is 53 and was set in 2005. A total of 49 species and 5,441 individuals were found on the 2018 SP-CBC (Document 7). There was one new species found in the 59th count year, the Winter Wren (#121 for 59 years). Uncommon species observed included Hermit Thrush, Brown Creeper (6) Great Blue Heron, Nor. Srike, Ruffed Grouse (3) Eastern Screech Owl and Tufted Titmouse (3). 36 people participated in this year’s count. Sector 5 lead all 8 sectors with 32 individuals and 1,684 individuals. The Aldo Leopold Chapter of the National Audubon Society has coordinated nest box programs for Elementary schools for the past 11 years. In Stevens Point, one has been McKinley School (see earlier comments). In 2015 we added yet another Stevens Point elementary school, Madison. The students at these schools are given an orientation session in preparation for the season. For 5-7 weeks they then investigate 8 nest boxes (donated by ALAS) and record the contents. They are able to observe nest building, egg laying and chick hatching. They are taught how to handle chicks and dispel the myth that human smells cause the parents to abandon the chicks. This program has been very well received by the students, their teachers and their parents (Document 8). The mission of the Central Wisconsin Children’s Museum (CWCM) is to provide a family-based discovery place where children and adults can play and explore together to strengthen confidence, capabilities and creativity through hands-on investigation. Cavity-nesting Songbird Display: Nests and eggs of Eastern Bluebird, Black-capped Chickadee, House Wren, and Tree Swallow are displayed in viewable, plexiglass containers. ($150 ALAS donation and USFWS permit renewal every two years). Bird Books for Children: Purchase of 30+ books. ($250 ALAS donation). K. Demonstrate that your community actively raises awareness of its bird assets. Examples include placing a remote web camera on a nest platform, offering bird watching field trips, or creating a significant educational resource on your community's bird life. The Aldo Leopold Audubon Society has an active series of talks (8 per academic year) and field trips (14 in 2018-19). Our total attendance at our talks is between 500 & 600 and our attendance on our field trips totals 250-300 (Documents 9 & 10). Boston School Forest is located in Plover but serves the entire Stevens Point School System (Document #11). In the 2017-18 school year, 10,005 students (mainly) and adults attended the facility. In addition to monies allocated from taxpayers, a total of $6,475.51 was received in donations. The Aldo Leopold Audubon Society contributed $300.00 plus donated display boxes with nests and eggs for the Eastern Bluebird, Tree Swallow, chickadee, wren and House Sparrow. A. Document an energy audit for a municipal building and show that your community is working to implement its recommendations. Since 2013, the waste water treatment plant in Stevens Point has used methane gas from its waste water intake to power its generator. After receiving a $114,000 grant from the state agency, Focus on Energy, that efficiency reached a remarkable 95%. Director of the plant, Joel Lemke, thinks the waste water department might reach a point where it can actually generate power and sell it back to the power grid. This effort is remarkable because release of methane contributes 23X the effect for global warming that CO2 does, so its importance can not be overstated. Heat from waste is used to heat the buildings at the waste water treatment plant. In addition, they are building a new municipal garage for storage of City vehicles. This building has a 131 KW solar array on top of the building, largest in Central Wisconsin (DOCUMENT 12). B. Show that your community goes above and beyond in its support for, and implementation of, green transportation (e.g., bike trails, rideshare programs, bike trails/lanes, etc.). Be sure to utilize the narrative to illustrate why your community is exceptional because standard practice will not receive credit. Bike Trail Development (Biking and walking can reduce the use of cars significantly and that leads to lowered greenhouse gases). On 22 April 14 the Portage Co. Board approved a County-wide bike plan. Each municipality has to approve it separately. On 19 Oct. 15 the Stevens Point City Council approved the component of the bike plan for Stevens Point. In September of 2016, Stevens Point received a grant of $390,141 for the WisDOT’s Transportation Alternative Program. This grant funds a community infrastructure Project that will add 13.16 miles of marked and signed bicycle lanes, urban shoulders, and shared lane marking on existing and arterial streets. The City will provide matching dollars totaling $97,535. Stevens Point ranked 2nd out of 33 projects approved for the 2016-2020 period. Mayor of Stevens Point, Mike Wiza, started a Biking and Pedestrian Advisory Committee (BPAC) in August, 2015. They gave a report on Jan. 9, 2018. Among other things, they reported on a cooperative map developed with UW-SP. This map was developed based on comfort and convenience. The City Council has voted to upgrade the existing Bicycle/Pedestrian advisory board to become a new Bicycle and Pedestrian Street Safety Commission (BPSSC). The Council approved a 4 to 3 lane conversion on a one-mile stretch of Stanley Street. Bike lanes will be added to this stretch--construction will start in Spring of 2019. The City has purchased 1.66 miles of abandoned rail bed for a commuter/recreational bicycle trail in 2018. The City installed parking kiosks around UW-Stevens Point to encourage more bicycling, walking and bus usage. D. Document that your community has been recognized as a Green Tier Legacy Community. The Stevens Point City Council unanimously on June 19, 2017, to join the ranks of Green Tier Legacy Communities (Document 13). 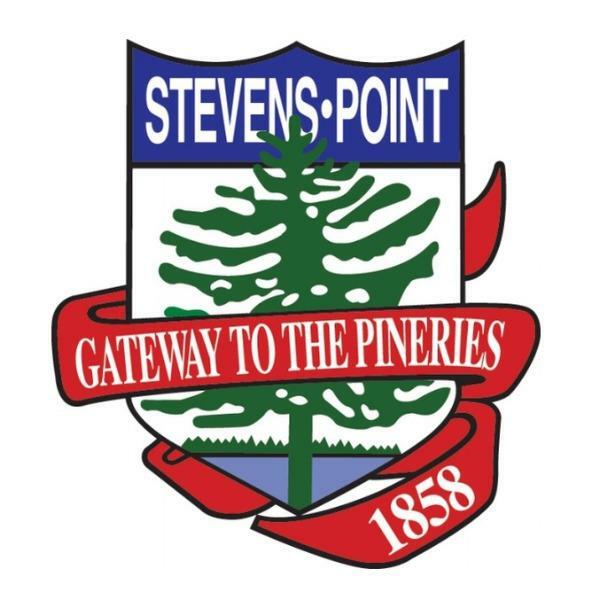 In summer of 2018, Stevens Point hosted the state convention of GTL communities assuring that they are taking leadership in the GTL consortium. In 2018 Stevens Point was selected 6th best college town out of 415 communities surveyed by Nerdwallet (Document 14). "Stevens Point Mayor Mike Wiza and UW-Stevens Point's Chancellor, Bernie Patterson were excited to hear the news, but weren't surprised. Both are crediting residents for the recognition." Gravel driveways are now permitted in the City. This change will allow runoff to percolate through the soil and will drop runoff totals and pollutants from entering waterways. UW-SP is considered one of the most sustainable colleges/universities in the USA (Document 15). They are now working with the City on a compost plan that will serve the needs of over 30,000 people (combined populations of Stevens Point and UW-SP. If implemented, it will be unique for a city the size of the area. H. Describe your community’s efforts to educate residents about climate change. Talks by the Citizens Climate Lobby, Stevens Point Chapter (525 members mainly from Stevens Point). We had 4 major talks last year, two of which are featured in Document #16. Another way to educate the public is through Letters to the Editor or Opinion Pieces in local papers. Last year Citizens for Climate Lobby, Stevens Point Chapter, published over 76 LTE's and OP-Ed's. CCL recently held a fund raiser for Citizens' Climate Education. The Stevens Point Chapter raised $11,400 and qualified as a Climate Guardian. We were the first out of 422 Chapters in the U.S. and Canada to reach this status (Document 17). CCL recently took a Resolution to the Stevens Point City Council on revenue neutral carbon fee and dividend. The Council passed it by a 8-3 vote (Document 18). The Resolution for the May 12, 2018, WMBD was approved by the Stevens Point City Council on January 21, 2019 (Document #19). Our last IMBD was held on May 12. 2018. Some photos of that event are found in Document #20. A total of 14 people attended the IMBD. Before the field trip there was an orientation for all of those attending. Auduboners presented a map showing the migratory route of neotropical migrants. Blue-winged Teal, Bobolinks and Upland Sandpipers were discussed as long distant migrants of 6,000 miles or more. The group started in Iverson Park and ended up at Lost Creek Wetlands, the most bird friendly habitat in Portage Co. Five field guides led the trip. We saw or heard 52 species of birds. The weather was reasonable and people enjoyed the trip. We try to get publicity for the BCW program. Document 21 shows publicity in one local paper, the Portage County Gazette.